Singer songwriter, multi instrumentalist. Lisa has blazing lead, slide and rhythmic guitar chops that will leave you breathless. Lisa Lim has been devoted to music since a very young age. She has gigged solo, in duo's and various bands touring over the past two decades. She plays several instruments. Electric & acoustic gtr., electric Bass gtr., Keyboards/Piano, Drums, Voice, lead and harmony, & Mandolin. She has played a variety of music styles over the yrs. She has currently just finished writing and recording a set of blues tunes for her debut cd. Lisa also is collaborating and writing traditional, crossover country, folk and mainstream tunes. 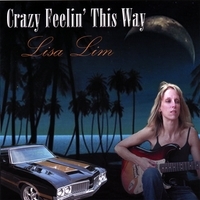 She continues to gig on a regular basis with her band, the Lisa Lim Band. Lisa also is a music instructor who teaches at her studio "Lim's Music." She has been teaching for 15+ yrs. She stays in high demand for music lessons. She teaches all styles, levels and to all age groups. She takes pride in the legions of students she's had the priviledge to teach. And has seen many go on to perform and grow into tremendously accomplished musicians. Lisa has competed in guitar competitions regionally placing 1st in competitions. She's been recently interviewed for Sue Foleys' upcoming book "Guitar Woman" showcasing female musicians and their impact they are making in the music industry. You can catch one of her originals on Illumina Records "Virginia Rocker's for Life 2007" CD compilation promoting awareness and prevention against drunk driving. Lisa Lim proudly endorses GHS Strings,Pedaltrain Pedalboards, Retro-Sonic Effect Pedals, Daisy Rock Guitars, Taylor Guitars, Spectraflex Cables & Amptopper products. Lisa Lim is an active artist with GINA, foundation for missing persons. Checkout their website at www.411GINA.org Lisa Lim also is Coordinator for Virginia Go Girls Music Chapter. Become a friend today at www.myspace.com/virginiagogirls and become an Elite member today at www.gogirlsmusic.com to enjoy all the perks of an Elite Go Girl Music membership! Lisa Lim also is a classic muscle car enthusiast. In her free time, you'll catch her cruisin' in one of her cool rods. And you can also catch her somewhere out on the Potomac River casting a fishing line, where she grew up. Be sure to check out these websites to get more info. on Lisa Lim. Rock, blues, funk - with a raw edge. When Lisa's cool she’s very cool. When she’s hot, she’s very hot. If you're a fan of hot electric slide guitar, this girl delivers! !Some oldstyle blues mixed in with hot blazing guitar licks. I've enjoyed this cd. Do you have another cd? ?